Javier’s 2015-16 season started with returns to Virginia Opera as the title role in Orpheus in the Underworld, and Florida Grand Opera as Almaviva in Il barbiere di Siviglia. He also performed El pozolero in a concert version of La Reina with Prototype, and American Lyric Theater. He will perform Carmina Burana with South Bend Symphony, and will make a house, and role debut as Fenton in Falstaff with Arizona Opera. Mr. Abreu has garnered critical acclaim in the bel canto repertoire. He has portrayed Ramiro in La cenerentola for Nashville Opera, Lismore Music Festival, Lyrique en Mer, Wolf Trap Opera and New Jersey Opera, Lindoro in L’italiana in Algeri for Theater Basel, Opera de Oviedo, Teatro Municipal de Chile, Opera Santa Barbara, and Austin Opera, Count Libenskof in Il viaggio a Reims for New York City Opera and The New Israeli Opera, the title role in Le comte Ory for Wolf Trap Opera and Tacoma Opera, and Count Almaviva in Il barbiere di Siviglia for Atlanta Opera, Florida Grand Opera, The New Israeli Opera, Lismore Music Festival, Central City Opera, Knoxville Opera, Syracuse Opera, Opera on the James, and the Stuttgart Staatsoper. In addition, he debuted with Minnesota Opera as The Cat in the North American premier of Jonathan Dove’s The Adventures of Pinocchio, Pepe in the world premier of Jorge Martín’s Before Night Falls at Fort Worth Opera, Padre Ruffiano in the world premier of John Musto’s The Inspector with Wolf Trap Opera, Castleman in The Long Walk with Opera Saratoga, and as El Enano de Salnés in the world premier of Enric Palomar’s La cabeza del bautista at the Gran Teatro del Liceu in Barcelona. Also an accomplished concert singer, Javier has performed in Carmina Burana with the National Symphony, Phoenix Symphony, Louisville Symphony, Britt Music Festival, and Pennsylvania Ballet, Messiah with the Pennsylvania Ballet, Jacksonville Symphony, Phoenix Symphony, and Lexington Philharmonic, and Mozart’s Requiem with the Jacksonville Symphony. He has been a featured soloist with the Pittsburgh Symphony, the Naples Philharmonic Orchestra and the Brazos Valley Symphony. Mr. Abreu made his Alice Tully Hall debut as the tenor soloist in Rossini’s Petite Messe Solennelle with the Juilliard Choral Union. Mr. Abreu has received many notable awards, including a 2003 Richard F. Gold Career Grant given by the Shoshana Foundation of New York, Third Prize in the 2005 Liederkranz Foundation Competition, awards from the Metropolitan Opera National Council Auditions, the Macallister Awards, and the Olsen Artist Debut Award by Florida Grand Opera. He was a young artist at Seagle Music Colony, and Music Academy of the West, and an apprentice with Central City Opera. He holds a Bachelor of Arts degree from the University of Miami. After finishing a Master of Music degree at the University of Houston, he worked as a Young Artists with the Pittsburgh Opera Center for two seasons. 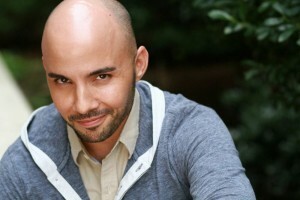 Mr. Abreu is also an alumnus of the Juilliard Opera Center.